It’s New Music Monday again, and this week I’m sharing a piece by Lauren Spavelko. Lauren is a composer, musician, educator, artist, painter, and terrific person, based in Columbus, OH. Lauren’s song cycle, Baby Book deals with issues of pregnancy, motherhood and loss, and is a work about women, for women, and by women. Setting poetry by Chloe Yelena Miller, this poignant cycle creates space for a dialogue about a difficult and stigmatized facet of the female experience: miscarriage. Baby Book has also won the Young Composers Competition dedicated to Gian Carlo Menotti in Spoleto, Italy, founded by the Monini Foundation with Casa Menotti. 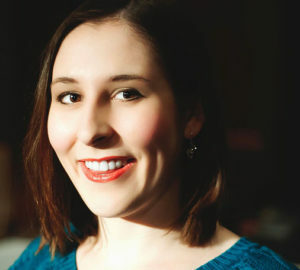 In addition to the complete recording from Spoleto, there is also a video below performed by soprano Natasha Foley with the composer at the piano, a perusal score on Lauren’s website, and even an Italian-language version of the movement, “Objects.” Be sure to check out the links below the embedded players for even more of Lauren Spavelko!